Foxes reproduce sexually and may breed in groups with multiple females and one breeding male or in male and female pairs. Both male and female foxes reach sexual maturity when they are 10 months old. 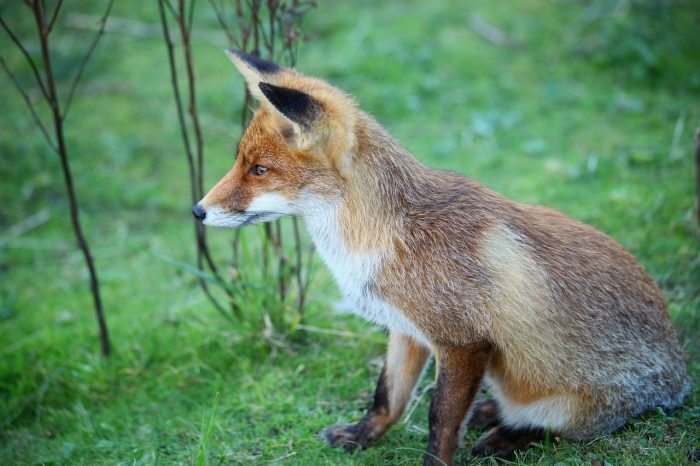 Foxes only breed once each year and have an average gestation of 49 to 55 days. Litters consist of five pups on average, but some litters of up to 13 pups have been observed. Babies are born blind but can open their eyes within 2 weeks of birth and usually leave the den where they were born by 5 weeks. By 10 weeks, fox pups are fully weaned, but they stay with their mother until the fall following their birth.